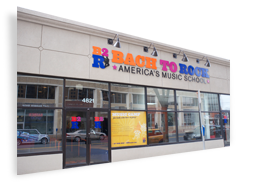 Bach to Rock in Herndon, VA is looking forward to another ROCKIN’ Summer! With camps for ages 4 up to age 15, your budding superstar is sure to find their rhythm in Rock Band, Glee Club, Recording Arts, or the Beat Refinery’s DJ Camp. Take your toddler on a world music journey in our Rock City World Tour Camp! Visit our Camps page for more info or contact us directly at 703-657-2830 and herndon@bachtorock.com.